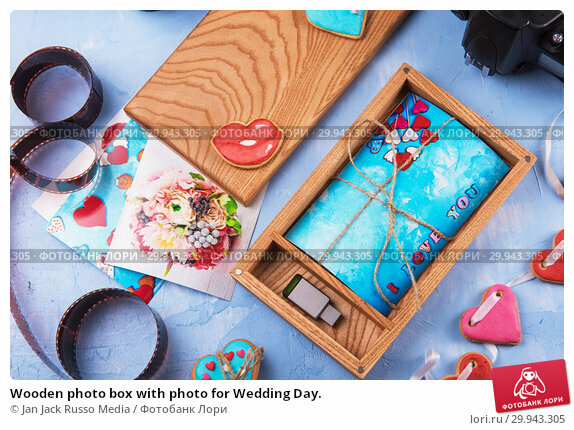 Wooden photo box with photo for Wedding Day. Дата съёмки 6 февраля 2019 г. Wooden photo box with photo for Wedding Day. Romantic love, and wedding day concept.